Any Facebook ads campaign you run, should never be a standalone ads campaign. Every campaign should form part of an overall strategy; using Facebook remarketing to work towards building your brand to position you as the go-to expert, and bringing you a continual flow of enquiries and paying clients. #1: Track all your remarketing audiences in Facebook. Who’s interested in you versus who liked your page years ago and couldn’t care less now. Who is visiting any page on your website, plus, who is visiting each specific page on your website. Someone who visits your “free small business bookkeeping guide” page on your website (warm audience) is likely to be MUCH MORE interested in hiring you to do their bookkeeping than the general Facebook user (cold audience). Every video you ever create should be uploaded to your Facebook page, so you can track WHO is watching and for HOW LONG. Someone who watches 25% of your 30-minute “bookkeeping Q&A” video on your page is likely to be MORE interested in hiring you (warm) to do their bookkeeping than the general Facebook user (cold). There’s a few other audiences you can track too; Instagram business profile engagers, people who message your page, etc. Track them all. On top of that, you might want to start thinking even more strategically about tracking WHEN you got the attention. E.g. say you have a page on your website promoting your workshop. Tracking who visited your workshop page up to 180 days ago gives you an audience of people who are interested in a) the workshop, b) the topic of the workshop, and c) what you offer generally. But tracking who visited the page up to (say) 2 days ago in a SEPARATE audience means you can follow up with people who looked at the workshop but didn’t book, to answer their questions and help them decide. Doing this will see you appear EVERYWHERE to your micro-targeted audience, positioning you as the expert so you stand out from the crowd, adding value, and you’ll be the person they remember, their first choice when they’re ready to buy. Running these ads concurrently means that as soon as someone drops in/out of each of your audiences, the next ad starts showing to them – an advertising machine working for you on autopilot. [A] First up is video content. Create a video with valuable content, maybe a ‘how-to‘, like this post. (You can use a lumen5 image/text style video like the video below, if you don’t want to be on camera yet). I would suggest making this video 5-10 minutes max, but test this with a few different (shorter) durations to see what works for your audience. The content you share here should be some of your best stuff that is SUPER-RELEVANT to the paying clients you want to attract. Advertise this video to your cold (targeted) audience and track your video viewers. This will create your initial audience of people who have already self-qualified themselves as interested in the video topic. Over time, aim to build a bank of these audiences using different content. [B] Promote your lead magnet to those who WATCHED your video. Now you’ve segmented out your lukewarm audience, the people who have already indicated an interest in your topic by watching your video, invite them to subscribe to your email or Messenger list in exchange for accessing your lead magnet. This increases your presence because now you are not just relying on your organic posts and ads being seen, you’re able to follow-up with them via email and/or Messenger. The lead magnet you offer here should be something quick to consume, that gives them a ‘quick win‘. It should also lead on from the topic of your video, to guide them a step nearer to becoming a paying client. E.g. if this blog post was a video that I advertised to a cold audience, the lead magnet I’d offer here would be my “5-Minute Guide to Facebook Audiences” which includes the step-by-step guide to installing the Facebook pixel, and creating Website Traffic Audiences. The viewing time that indicates the interested audience to promote the lead magnet to will vary, according to the length and format of the video. For some videos, this might be the 10+ seconds audience, others, it might be the 50%+ audiences. One or both of A and B should include a video of you talking to camera so they can ‘meet’ you and decide if they vibe with you. 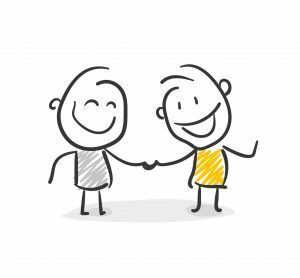 If every contact they have with you is in writing, it takes longer to build trust, for starters. You might also waste money building a relationship with someone who when they ‘meet’ you, for whatever reason, they don’t gel with you. So it’s better to get this ‘meeting’ out of the way early. For transparency, I usually don’t go on camera to my cold audiences. The first ad they would see from me is written content, then I show video to people who indicated interest in the written content. It’s a personal thing as to whether you do the same, but I recommend you don’t leave it too long before they can ‘meet‘ you. [C] Promote your ‘premium‘ paid program/service to your new leads via ads and email/Messenger, so the minority who are ready to buy the solution you offer can move forwards now. A small number of your new leads will be eager to get their ‘pain‘ resolved quickly, and you’ve probably got a few different ways that people can work with you; low-cost programs to get part of a solution, and higher-ticket, bespoke options to dive deeper and get to the result quicker. Introduce them to your higher ticket option here – ideally priced at £1,000+. This will appeal to your fast action takers who already knew they needed to find a solution to their ‘pain‘ before you showed up, and from what they have seen of you so far, they are ready to say yes to you. It will also help you get a quick ROI on your ad spend so far. At this stage in my campaign flow, I’d be inviting you to work with me to master Facebook ads, 1:1. There’s more info about this option at the end of this post. [D] Continue to advertise more value (content) to those who weren’t ready to buy yet. This is your brand awareness stage, where you pop up in various placements with more great content that your audience will get value from, that will further increase your expert authority. Audience Network placement places your ad inside articles on third-party sites and apps. Content ads are the only instances that I’d suggest using the ‘Instant Articles’ and ‘Audience Network’ placements. When your ads contain a call-to-action, you should place them where it’s easy for your audience to take that action – such as in the newsfeeds and right-hand side. These articles placements mean your ad will pop up in the middle of other people’s articles that they’re reading – great as a quick-glance, l’il reminder of you that they don’t need to take any action on, not so great when you want them to buy. You can also showcase your lower ticket offers here. This step in my campaign flow would include an introduction to my Facebook Ads Success Foundations program, which guides you through tracking all your remarketing audiences, and demonstrates how to include and exclude these audiences from your Facebook ads. [E] Make additional offers, regularly. A mix of free and paid to keep you relevant, memorable, valued, and paid. As you create new content, new lead magnets, and new programs, add them into your campaign flow, targeted to the most relevant audiences. Ads have a limited lifespan so you’ll want to keep changing up their sightings of you with fresh new content and offers so they don’t reach the stage of getting blind to you. That is what will happen when they see the same ad over and o-v-e-r again. They’ll probably also end up hiding your ad which will reduce your relevance score. This might all seem like a ‘lot of effort‘, but that’s where you can win. Most people don’t put the effort in to think and plan strategically about how they advertise, so it’s no coincidence why many people say that “Facebook ads don’t work”. With the regular Facebook algorithm updates, the demand for Facebook advertising is going to significantly increase so they will become much more discerning over who they allow to advertise too. Those who continue to ‘spray and pray’ will not only be heavily ‘taxed’ (paying more for poor results), they risk losing their ads account if their ads’ relevance score is continually low. This list is a framework for you to plan your Facebook ads campaign. 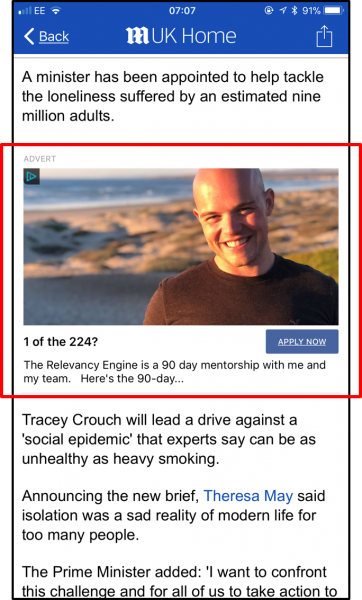 It’s not prescriptive as it ultimately depends on your specific goal, but thinking through your ads like this will make sure that every Facebook ads campaign you launch is fitting into your overall plan somewhere. 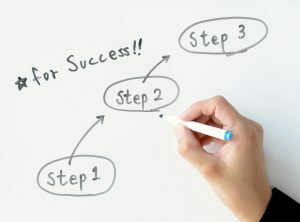 I like your step by step process which makes sense to start engaging with an audience on Facebook. It works for any business, whether you have a following yet or not.